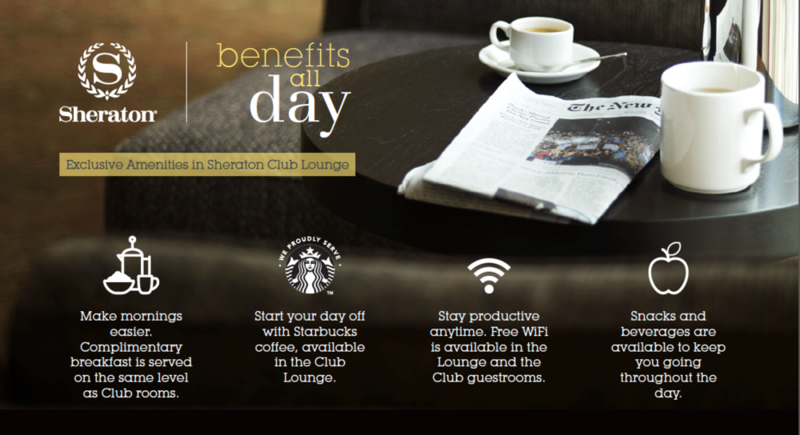 CF provided the customer insights & digital tools necessary to drive sales locally, across the US. 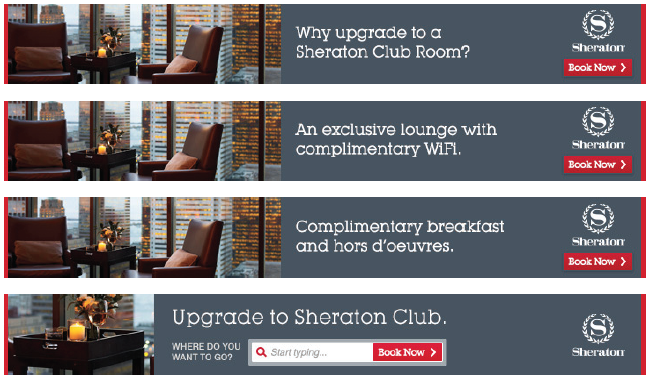 Sheraton needed to drive new sales across all US markets, while sorting through a global rebrand. 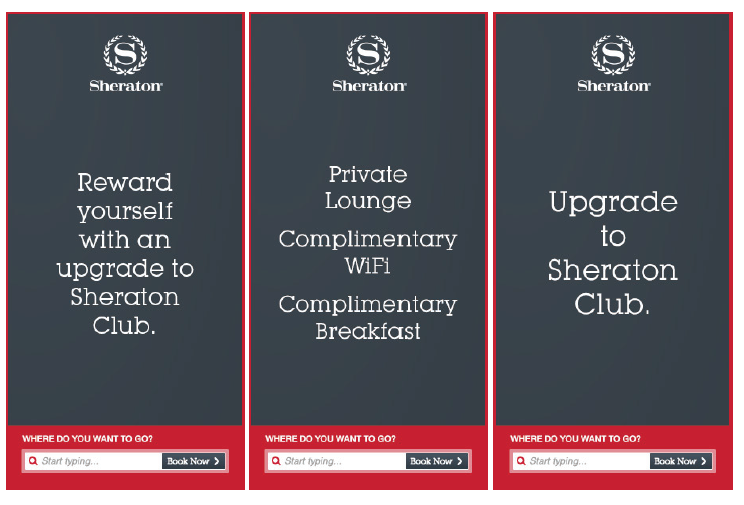 Sheraton's US Brand Management team asked CreativeFeed to lead the research, workshops, strategy and implementation of new sales opportunities - in this case, by helping local sales teams sell Sheraton Club more consistently & effectively in every local market. Read More.